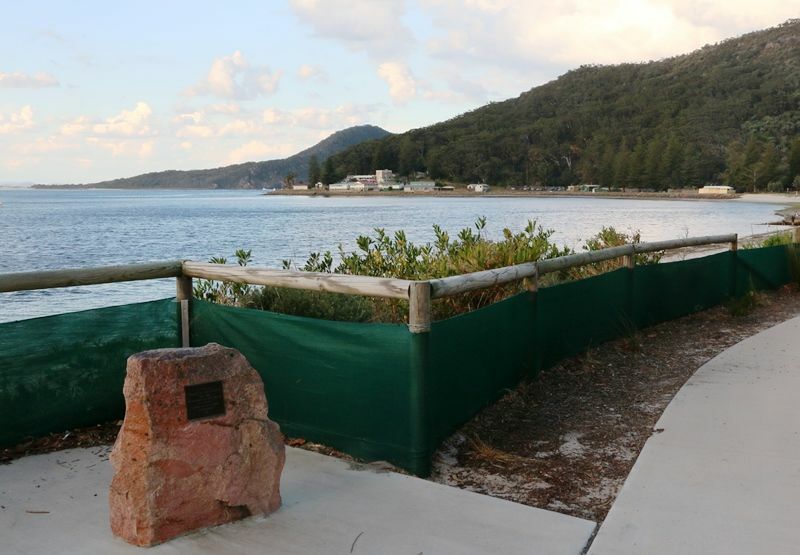 A memorial commemorates the goodwill and sportsmanship of Jack Murray at Shoal Bay. "Gelignite" Jack Murray's celebrity status rose with his larrikin antics during what is still considered to be one of the toughest rally races, the Redex trials. He captured the hearts and minds of an Australian public that had been battered by the Depression and World War Two and he reminded them of the lighter side of life. In the 1953 Redex race he rolled his Chrysler Plymouth, a news team quickly on the spot asked him to comment regarding the state of his car and his accident. What was recorded was one continuous censored bleep, enjoyed by thousands. 1953 may not have been his year but Jack made certain that 1954 belonged to him and so in a shower of gelignite explosions, good humour and gritted determination he set out to win. Jack Murray and his co-driver Bill Murray made the 18 day endurance race look like a picnic, while Jack earnt himself his nickname by tossing sticks of Gelignite out the window of his Ford V8 to liven up his entrance to towns. 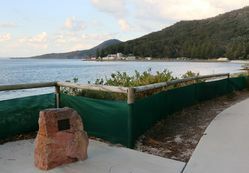 For many years Jack Murray and his crew considered Shoal Bay a home away from home, spending nearly two months there each year.